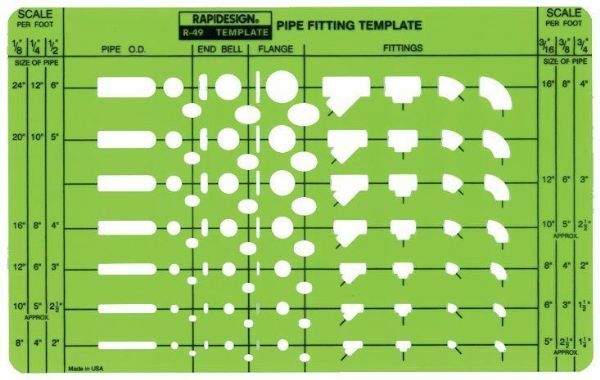 Contains symbols for pipe end bell flange and fittings in seven sizes. * Size: 5" x 8" x .030". Size: 5" x 8" x .030"
9.75" x 4" x 0.12"